Ink Experts International is a solutions provider for most of your digital inks, digital media and digital printing machines also conventional inks requirements. Quality ink solutions with service that some established companies cannot match. 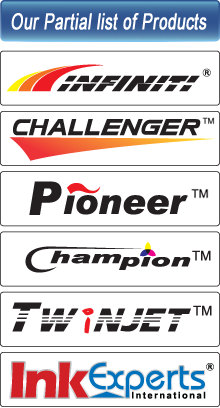 We pride ourselves in our close working relationship with industry leaders from across the globe. The best companies in Europe, North America and China are part of the Ink Experts International team. And as teams player they are all working together to provide reliable and individual ink solutions for our clients. Ink Experts has developed these relationships through years of working with the best in the industry, before taking our product and product technical support to the market. Ink Experts staff has worked to provide printing solutions for some of the worlds leading publications, companies in the United States, Middle East and Europe. They have worked with leading ink suppliers and Ink Experts current partner based in USA and Europe. To provide the best ink and ink related solutions for all our clients, with better services and the most competitive prices. There are many ink companies out there, providing an almost unlimited supply of ink products. But which is the right one for your business? What is the best on the market? Who is more reliable? Our mission is to make these decisions easy and hassle free for you. The vision is to develop the company from a player in the regional ink supply industry into a global supplier. And achieving this vision requires reliability and customer focus that is second to none. Our aim is to provide ink solutions for digital and printing companies from USA, Europe, the Middle East, to Africa and Asia. To do this, Ink Experts has gathered some of the most skilled and experienced industry professionals to work together under one roof. Newspapers run to tight deadline that requires an accurate result from the first time, every time. So why should your business be any different? Ink Experts provides ink for some of the leading newspaper publications. It is not only the newspaper industry that can benefit from business with Ink Experts. Ink Experts can provide ink solutions for specializing in Coldset, Heatset, Water-based, Solvent-based, Sheetfed Offset, Sheetfed UV and Digital Inks to print High Resolution, Wide Format and Super High Format. So Ink Experts ink can be used in any printing environment from printing newspapers, books, magazines, films, corrugated boards, to printing on different digital media using various make and model digital printers. That is only some of the products we can offer to the market.  Check out what Ink Experts can offer on our products. Ink Experts International was developed to provide most printing companies digital and conventional with a printing ink supplier that is reliable and can service your printing needs. Working through partners we were able to bring global ink expertise to a regional, even local level with one thought in mind. Providing the client with what they need when they need it and backed by the best technical know-how. USA, Europe, Middle East, Africa and Asia, is experiencing the high growth in demand for ink products, and Ink Experts is excited to be part of the bulging market.